Senator Cristina Fernández de Kirchner faces five trials but only one has a start date. As her poll numbers rise, so too does the fear among judges. 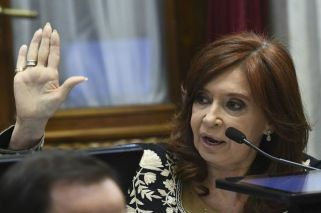 The possibility that Argentina’s courts could put a presidential candidate on trial, subjecting to her oral and public proceedings, seemed remote. Even less likely was that a sitting president in 2020 could be charged and sentenced. It was hard to believe, but this scenario is now becoming very real. And it’s one of the variables that judges and prosecutors at the country’s central Comodoro Py courthouse are considering as they prepare the multiple trials against Cristina Fernández de Kirchner, which are scheduled for the coming months and years. 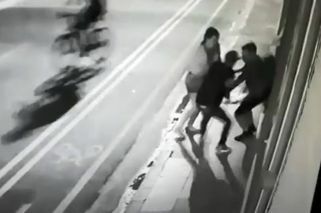 Judicial officials recognise the situation is unique. Three years ago, the former head of state left power after her and her late husband Néstor Kirchner’s combined 12 years in office. During that time, court cases against them had been postponed. In the era of President Mauricio Macri, who took office in 2015, leading the country, investigations led to charges and to the confirmation of trials against Fernández de Kirchner. The main cases have put significant pressure on the eight oral courts which are charged with investigating and, in some cases, preparing trials for the multiple charges Fernández de Kirchner faces. At the same time, they must continue their investigations into drugs, human-trafficking and other federal crimes. And this is without considering the immense workload around the so-called cuadernos (“notebooks of corruption”) case that broke mid last year, in which the former head of state is accused of orchestrating a kickback scheme in cahoots with country´s construction sector. Fernández de Kirchner currently faces eight legal proceedings, another five rulings ordering that she be put under preventative arrest (she cannot be arrested given her parliamentary immunity as a national Senator), and five trials. The first oral and public trial is scheduled to begin on May 21 when she will face charges of embezzling public works funds tied to contracts in Santa Cruz province. Former Planning Ministry officials and the businessman Lázaro Báez, the Kirchners’ alleged frontman, will also face trial. It is the only trial with a confirmed start date. It will almost certainly run throughout this year’s electoral campaign, and will conclude sometime in 2020, court sources told this journalist. One of the most contentious cases in the Judiciary involving Fernández de Kirchner is the so-called “Los Sauces” case, which was lodged in October last year with the First Oral Federal Tribunal (TOF 1), and involves alleged corruption in the Kirchners’ hotel businesses. Most of the evidence has been analysed, according to sources with access to the investigation, and the prosecutor Diego Velazco is in discussions with his TOF 8 colleague, the prosecutor of the “Hotesur” case, Marcelo Colombo, about the possibility of unifying both cases in the same oral trial, which could begin as early as late 2019. Most of the witnesses and defendants in the Los Sauces case are the same ones in the Hotesur case, while the alleged crimes are also very similar: alleged money-laundering through the use of the Kirchners’ hotel businesses and properties. The prosecutors in both cases often collaborate in their work unlike the judges, whose decisions are often isolated. Last month, Fernández de Kirchner’s daughter Florencia – indicted in both cases – requested an extension to her stay in Cuba where she is receiving medical treatment. At the same time, the court charged with running the trial into Los Sauces, TOF 5, declared its incompetency and sent the six-month workload to TOF 2 in order for it be annexed in the May trail into alleged public works corruption. While TOF 5 argued it was inundated with cases and lacking staff, the judges of TOF 2 rejected their colleagues’ decision to call incompetency. They insisted that annexing the case with Public Works would imply a delay to the start date of that trial, since both cases should be equally as prepared (Los Sauces and Public Works). Los Sauces no longer has a court. Now, the Appeals Tribunal must decide which TOF has the competency to carry it out. Argentina's legal system works against itself. The disconnect and disarticulation among judges and prosecutors, tribunals and trials, has prompted some of the biggest cases to end in scandal. The case into the 1994 AMIA bombing was annulled. The same happened with the bribery scandal in the Senate, while the sentence against former president Carlos Menem for arms trafficking to Croatia and Ecuador failed as a result of “non compliance with reasonable timeframes”. In this country, the judges and prosecutors who investigate alleged crimes are not the same ones who must later evaluate the evidence and determine sentencing. This is one of the major complaints of judicial officials who, among other factors, feel media pressure more than ever. Some believe that poor decisions expose them in the midst of a severe crisis of confidence in the courts. Others feel overwhelmed by the accumulation of work and the pressure of the 2019 election campaign on their shoulders. Cristina Fernández de Kirchner has still not confirmed whether she will run for the presidency in October. But the polls, the weight of the country’s economic situation and the fatigue among a large part of the electorate with the ruling Cambiemos (Let’s Change) coalition, plays on the minds of the Judiciary. The situation is very different to 2017, following the mid-term elections, when Cambiemos made ground in Parliament with the winning performance against Fernández de Kirchner of its candidates in Buenos Aires province. At that stage, TOF 5 had decided to postpone the trial into illegal espionage against the president’s father Franco Macri and much of the president’s inner circle, which was scheduled for 2019. That decision was taken amid an escalation in the number of complex cases reaching Comorodo Py.